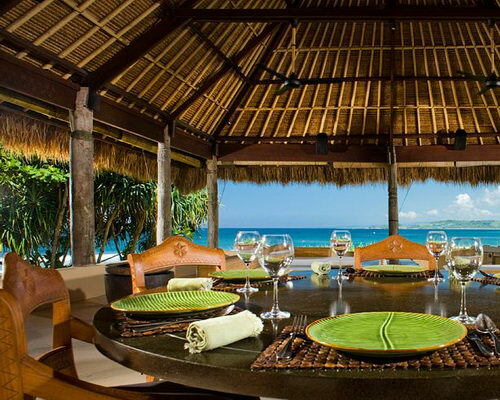 Tinuku ~ Nihiwatu Resort in West Sumba Regency, East Nusa Tenggara province, as the "World's Best Travel Awards 2016" by Travel+Leisure combines luxury with local cultural elements are applied in architecture and ornamental. 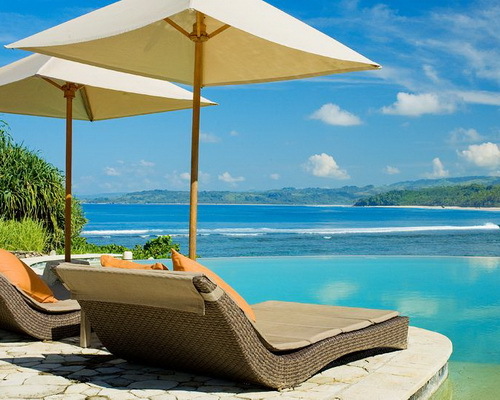 Nihiwatu Resort settled on the lips of white sandy Nihiwatu beach length 2.5 km in the village Hobawawi, Wanukaka, West Sumba, East Nusa Tenggara, the best tourist destination in 2016 implement geography and local communities concept are packaged in luxurious architectural design, comfortable and classy. 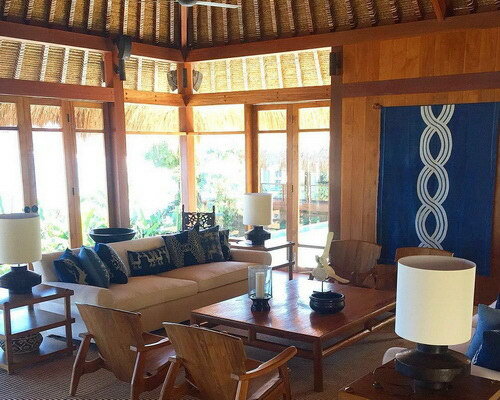 The hotel uses thatched roof occupies 300 hectares of tropical forest, wetland and savanna to combine design of Sumbawa traditional and environmentally friendly technology which is applied throughout the villa. Material bamboo, coconut wood, clay and limestone into major reference value of the coastal village architecture. 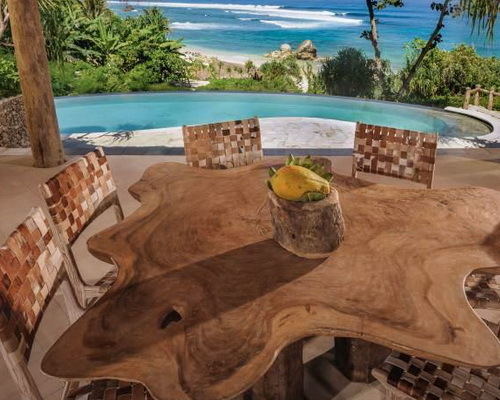 Designers apply the understanding of tropical archipelago geography literature translated by exposing traditional culture exotic Sumbawa to blend with the waves of Indian Ocean that were in backyard of the hotel to achieve world-class surfers courage. 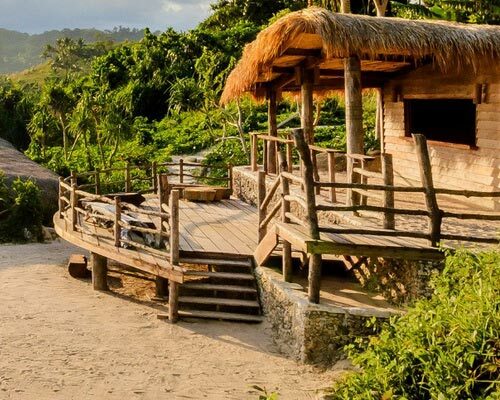 "We are expanding our understanding of heavenly resort and has now created destination that has strong track record of geography with very wide space allows guests wander in Sumba nature," said James McBride of Nihiwatu Resort. 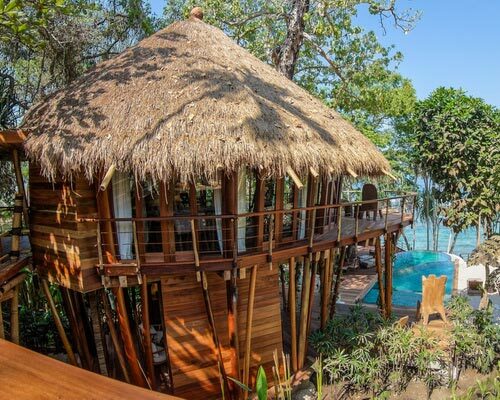 Accommodation cling to rocky ledges and directly overlooking the Indian Ocean. 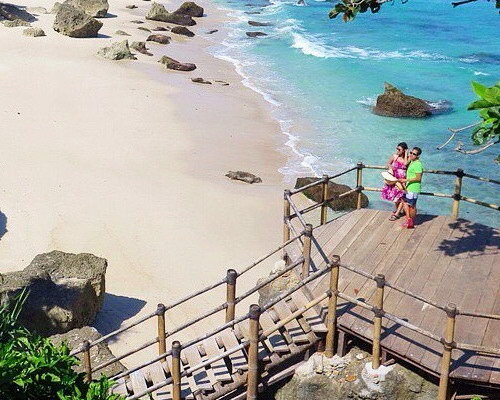 More than 33 facilities to understand the beautiful scenery on Nihiwatu Beach, safari activity and island exploration, trekking to some hidden waterfalls, beautiful paddies and village art. 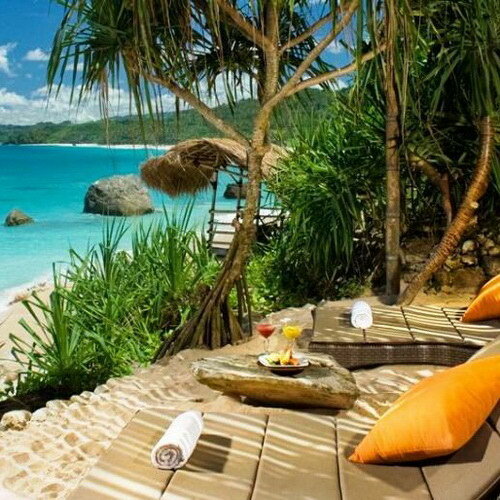 Roofed villas made of coconut tree leaves fiber overlooking the sea and few bungalow consists of three large-sized rooms are built on hillside and equipped with private swimming pool directly overlooking the Indian Ocean. 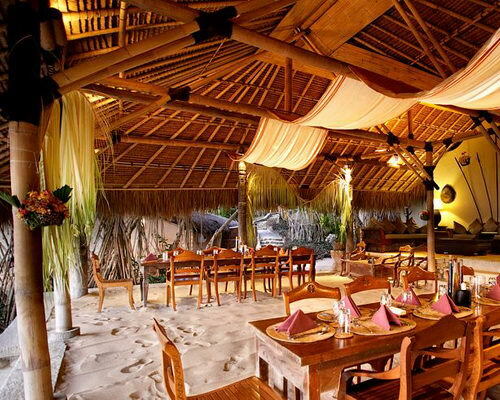 Open beach restaurants sand-floored building design, furniture applying wood material and designed to have board legs so do not fall into the sand. 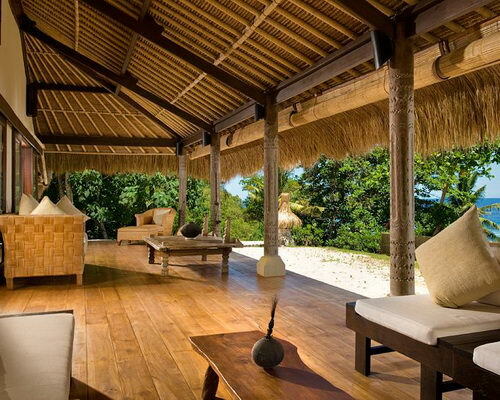 The bar room facilities in bamboo hut shelter using bench-based rattan. The pool has curved corners built using natural stone material in open area. Decorating around the garden implement life filled with frangipani trees, banana plants and tropical flowers. 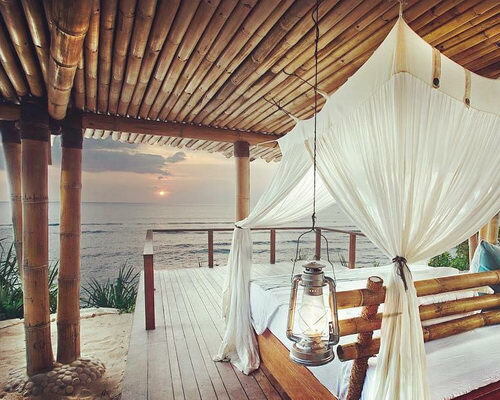 Each pool directly facing the ocean with background in stilt houses made of wood and bamboo. The spa apply semi-open roof predominantly sandstone walls were stacked to highlight contours rough as decoration passive. Square tub using beige marble materials. Bailer and trays using black rosewood material and some of the decoration of glass candle holder. The complex with total area 300 is coastal village in the hills landscape managed jointly with local communities complete with farm and livestock inputs. 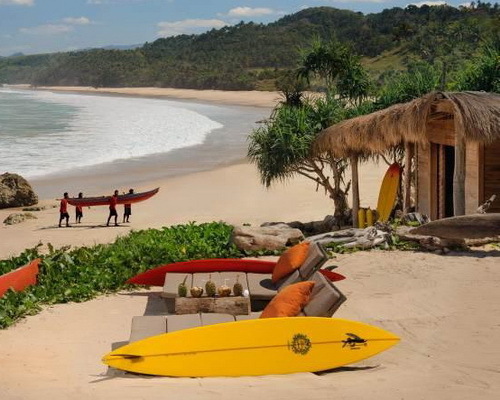 Resort implement pooling of comfort in Sumba culture where guests experience the local community activities.